That’s quite a few chickens! Thanks to everyone who participated in our Holiday Gifs of Hope. 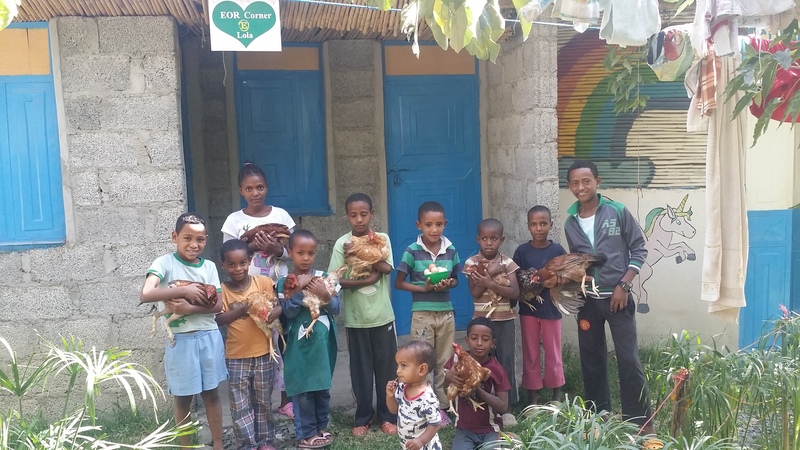 Your generous hearts have provided 156 new chickens for our partners, Lola Children’s Home and Children’s Heaven. In the next few months there will be some new chicks to add to our ongoing Poultry Project. These gifts you provided will give much needed protein and essential nutrients for a child in Ethiopia. Extra eggs can be sold to other villagers and provide an income that can be used for food, medicine and education. To learn more about EOR’s projects please visit us here.